This is our reference NY-15722. 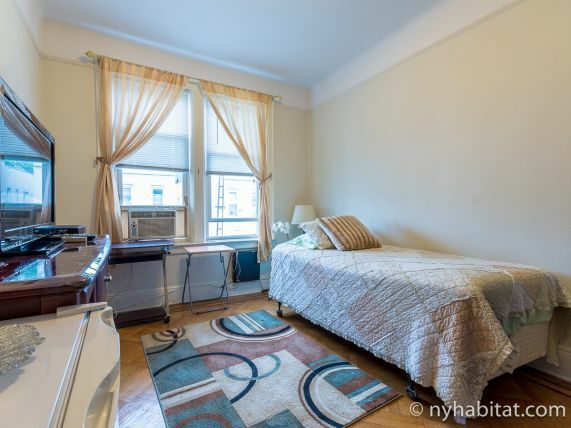 This room for rent is on the upper level of a 2-story (considered 1-story by Europeans) walk-up building found off the intersection of 45th Street and Broadway. The apartment building includes access to a shared garden area for all its residents and has a buzzer/intercom system for guests. Bedroom #1 is the available bedroom for rent, and benefits from having a double set of windows that overlooks the backyard garden, to the rear of the building. These windows looks westward and have rolling blinds that can be used when privacy is preferred over natural light. 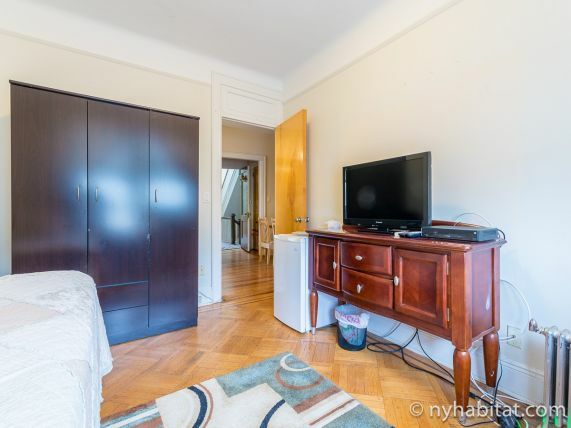 The room has more than basic furnishings, with a mini fridge and flat screen television in addition to the single size bed and armoire. 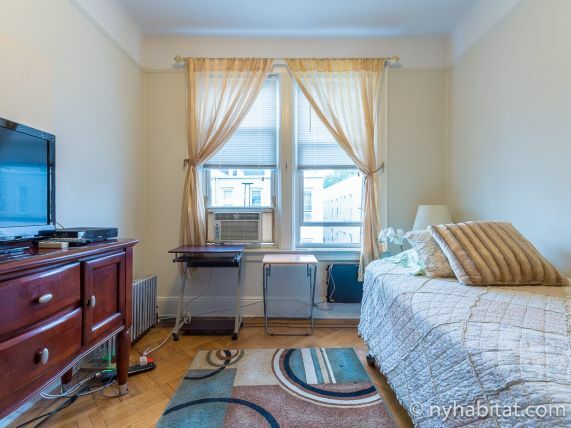 There is also an air conditioning unit to allow you to fully enjoy NYC's infamous hot summers! This apartment share works to maximize the amount of light in every room. 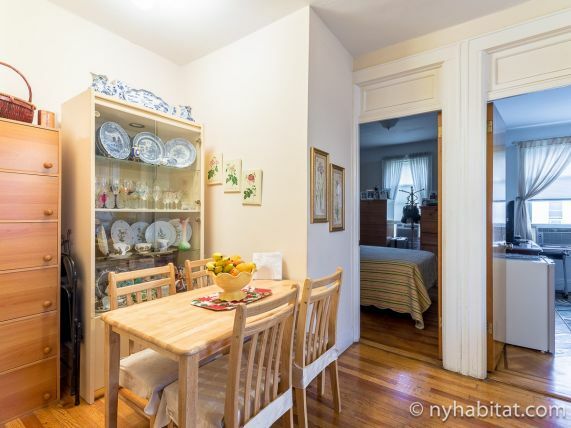 The other room of this two bedroom apartment is occupied by the owner, while the kitchen and bathroom are shared. 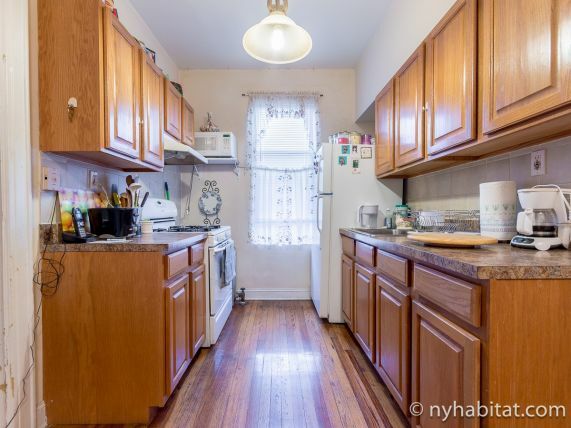 The kitchen has warm wood tones and white appliances, with a dining table as well as a window. 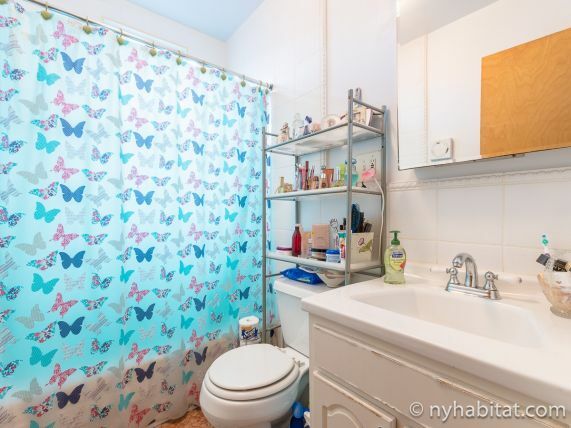 In the bathroom, you will find a combination bathtub/shower with another window!